THE 2018 BIRDS WERE NEVER FLOWN DUE TO LEAVING SPORT FOR HEALTH REASONS. THEY WERE BRED FROM WINNING RACE TEAM AND TOP BREEDERS. THIS LOFT WON CHAMPION BIRD, AVERAGE SPEED AND CHAMPION LOFT IN 2016. ALWAYS AT THE TOP OF THE RACE SHEET! GREAT PIGEONS!!! 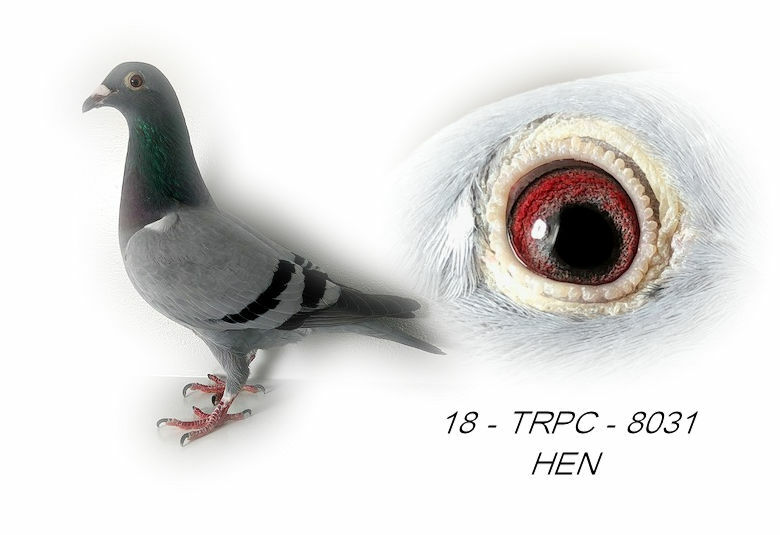 VERY NICE MED SIZE STRONG APPLE BODY 10 PLUS PIGEON.